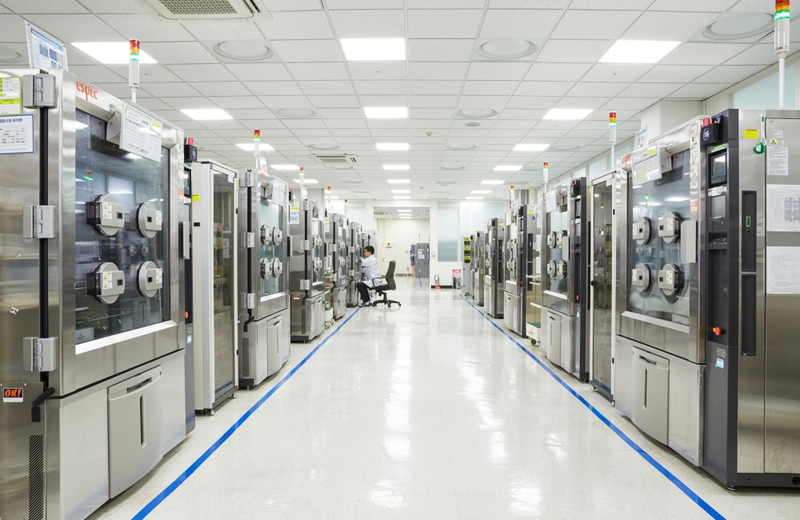 The Reliability Test Group is responsible for testing mobile and wearable products sent from Samsung’s manufacturing sites in Suwon and Gumi, South Korea, including the Galaxy S and Galaxy Note series of smartphones. As soon as decisions begin to be made about a new device or model, the Reliability Test Group gets to work. 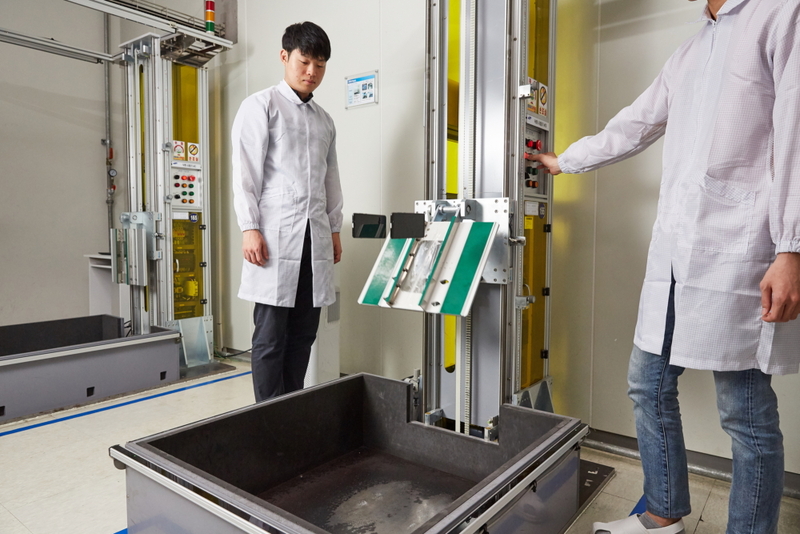 Once the specs and features are determined, the group considers which parts require testing and verification, and the process starts even before the features have been fully integrated. Test results are immediately passed on to the development division for improvement. 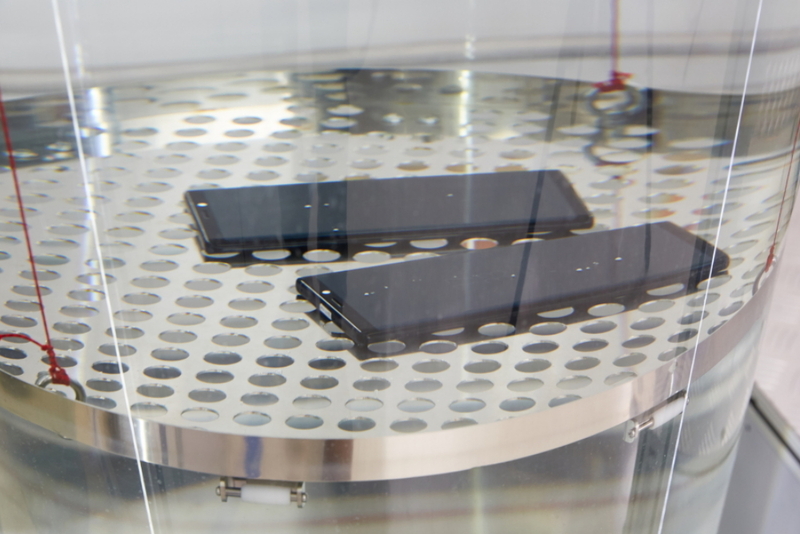 Throughout development, the test group engages continuously in the production process, processing feedback about the device even after its launch and release. More than a dozen tests are required to validate a product. 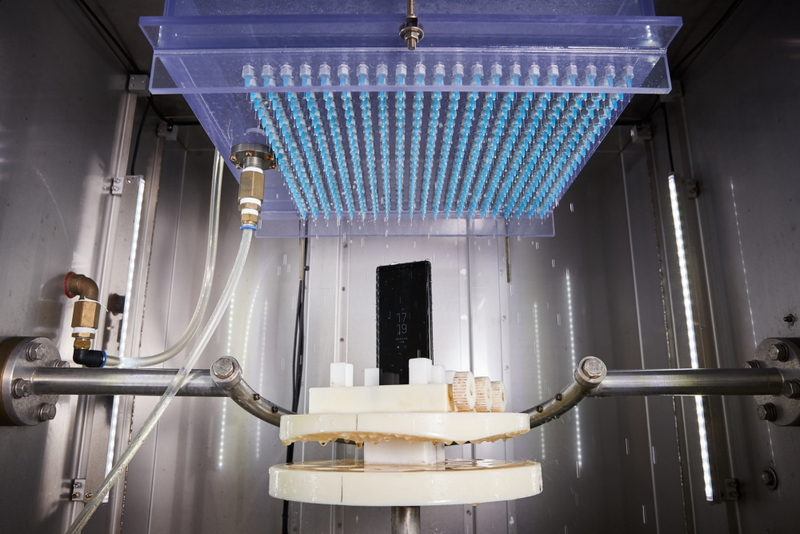 While the number varies from device to device, thousands of models are put to the test before launch. The tests are designed to evaluate how the devices perform during normal day-to-day use and follow a standard based on internationally-certified test criteria. In this era of visual communication, people are searching for even more ways to express themselves using their smartphones. 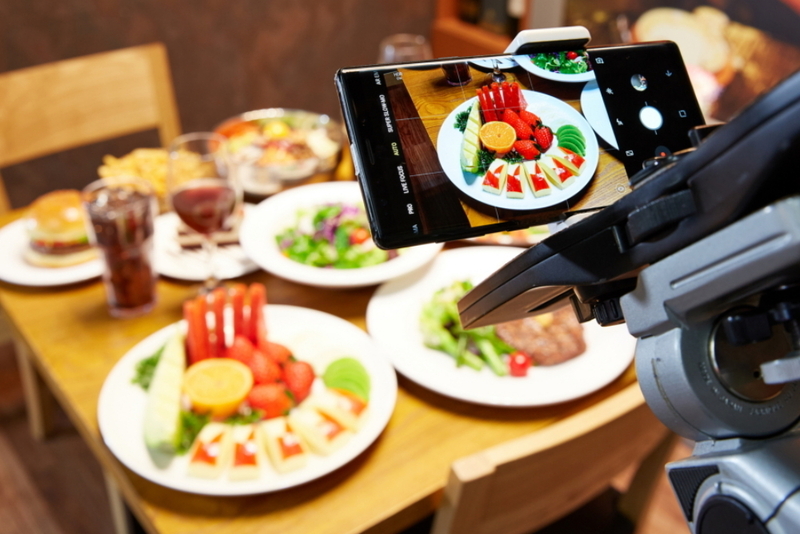 To help users take great pictures, Galaxy smartphone cameras undergo both quantitative and qualitative evaluations to verify their performance. 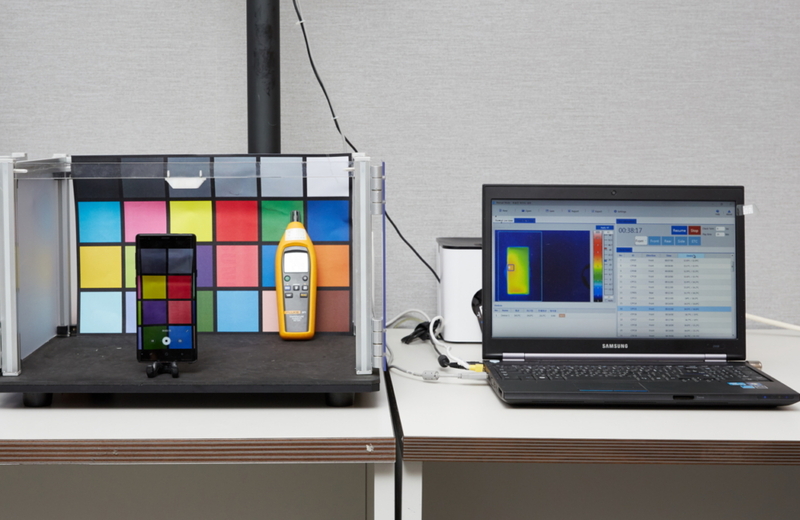 The quantitative evaluation stage measures a range of criteria including brightness, color clarity and image noise. Using light sources of different intensities, a wide range of conditions are simulated. Photographs are taken, and these images are evaluated through a specialist program that assesses the camera’s specifications. The qualitative evaluation stage reproduces a variety of environments with the help of scaled models of real-life scenes. These models replicate indoor and outdoor spaces, such as a restaurant or a street lit by neon lights at night. There is also an artificial sunlight system which can simulate different lighting conditions, from a dark night to a bright day. 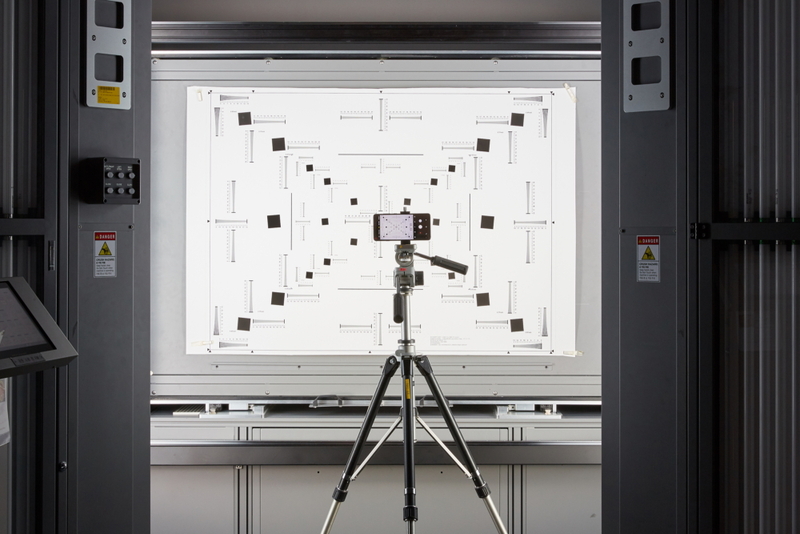 Testing in an indoor lab ensures that the light source is unaffected by external factors, leading to more accurate comparisons. Tests are also performed outside of the lab in real outdoor environments. Ringtones, music and voice calls are just part of the diverse soundscape that a smartphone will produce and receive throughout its life. 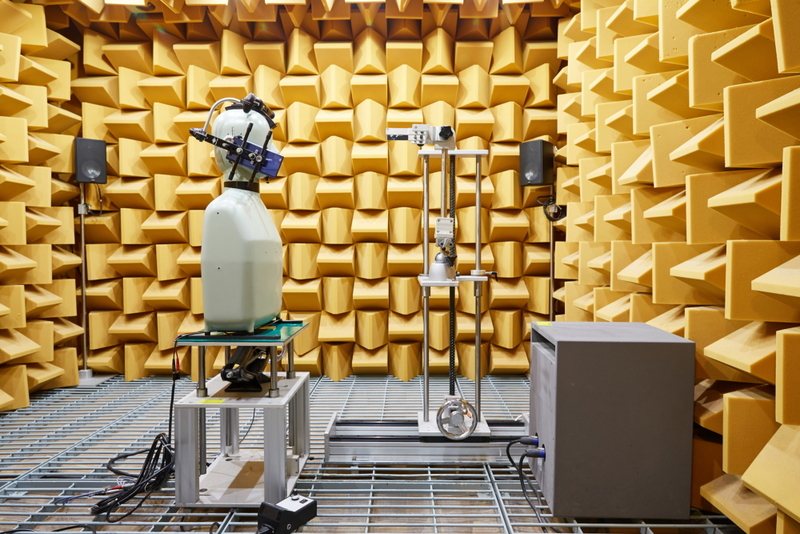 To assure quality across all types of sounds, the devices are tested in two different chambers. 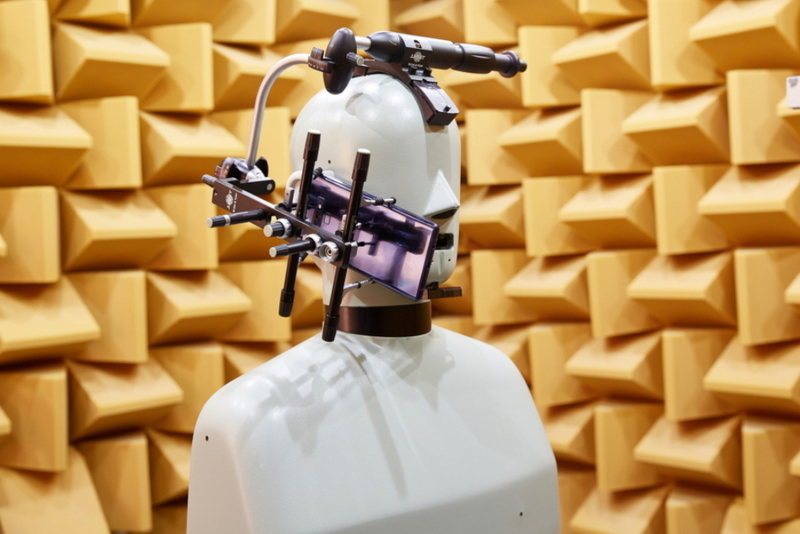 The first chamber, the anechoic chamber, is a special room designed to eliminate outside noise, so that pure acoustic quality can be evaluated. 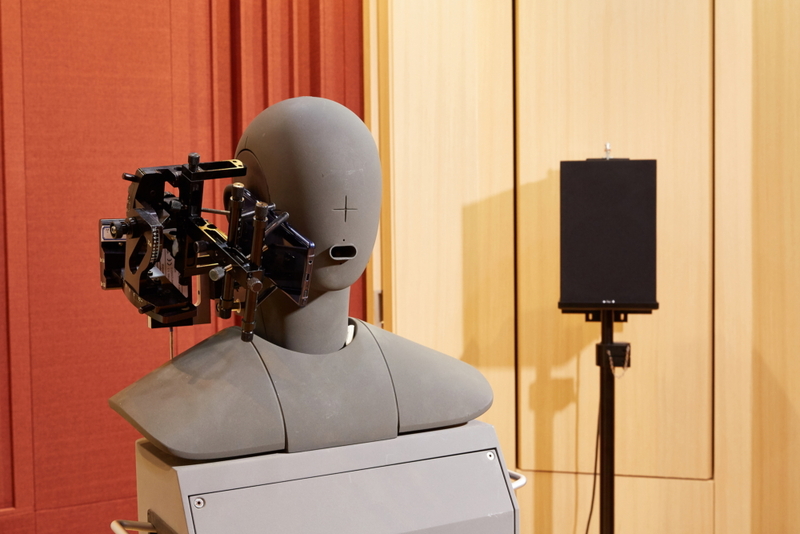 The second chamber simulates the smartphone’s sound while talking on the phone in different settings: holding the phone to your ear, using speakerphone or earphones, or connecting to a Bluetooth headset. 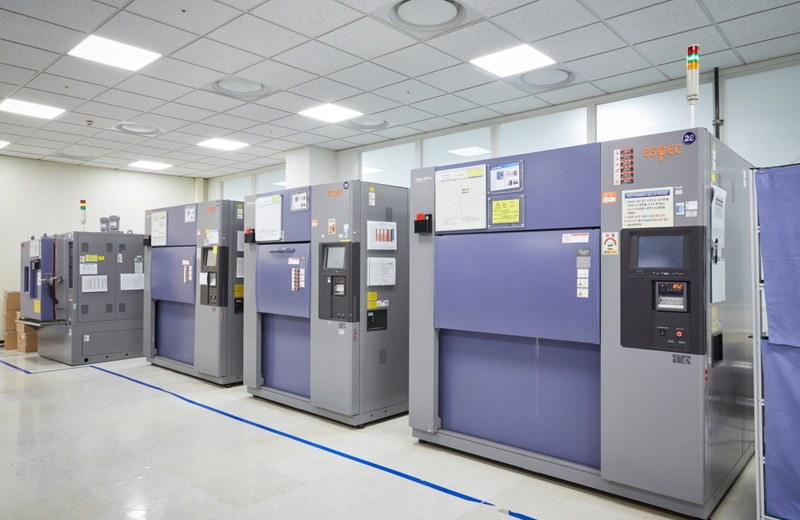 Almost everything that happens in real situations is tested in these chambers and the results are analyzed by a computer to provide feedback to the development team. As our devices are becoming smarter, the relationship between performance and heat is an important concern for the Reliability Test Group. 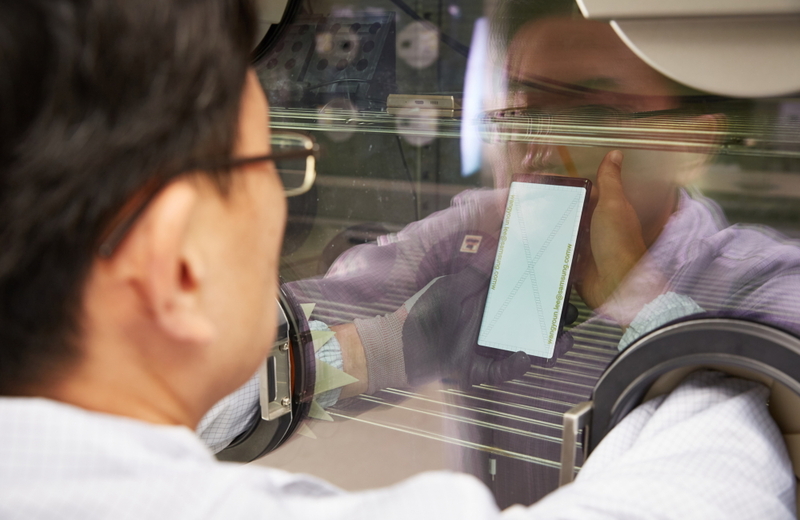 When testing the smartphones, the team reproduces conditions of heavy usage, such as playing high-spec games and using resource-intensive apps, and measures the device’s heat levels with a thermal camera. The test monitors both where and how much heat is generated. 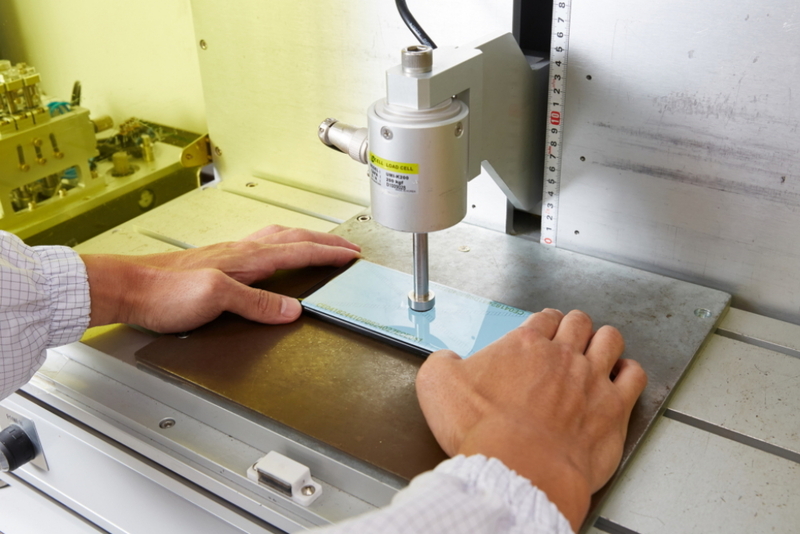 The results of the test are sent back to the development team for them to adjust the design accordingly. 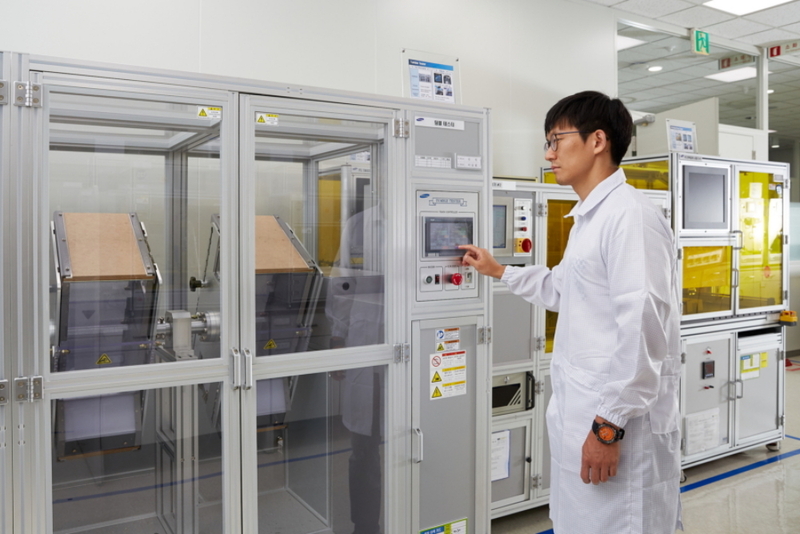 Each of the test samples is dropped from different heights, at different angles, and onto different types of surfaces, often repeatedly to test the robustness of the device against stress. 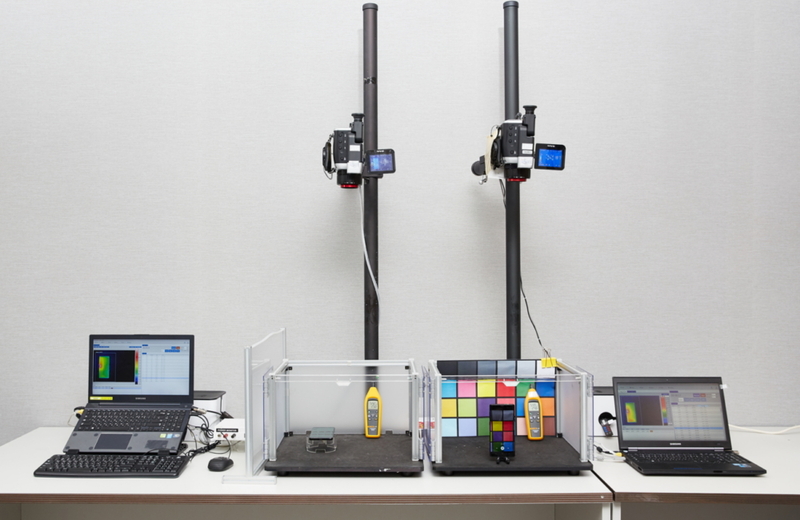 The drop test lab also uses high-speed cameras to take footage of the smartphones falling, which the team can analyze. The images help them understand how the device falls, the angle of fall that has the greatest impact, and what might be the cause of any breakages. The results help developers protect devices against future drops. Many people own the same device for years, so a smartphone should be durable enough to withstand daily use. 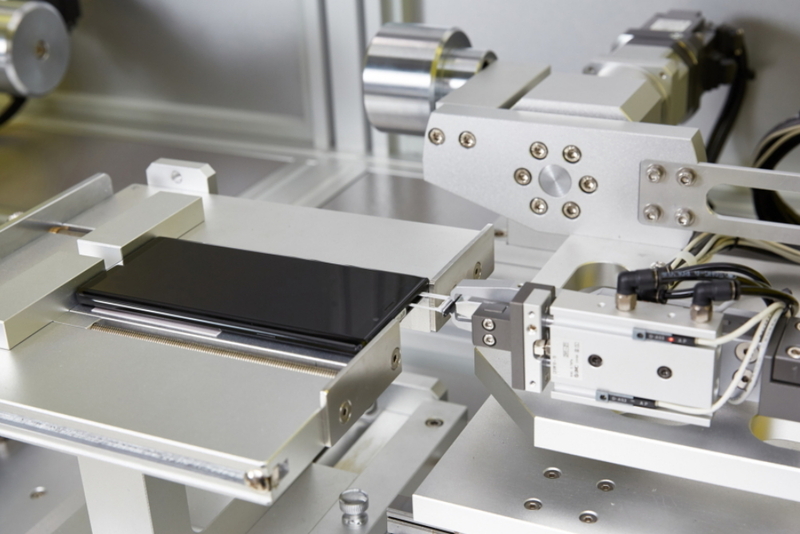 Galaxy smartphones are placed in a machine, which rolls the device around to simulate the impact of a phone tumbling downstairs from a lower height. Durability is also tested with a series of repetitive actions, such as pressing the buttons, using the earphone jacks and opening the SIM card tray. The team even measures how well a smartphone can withstand the load and pressure of a person sitting on their phone when its in their back pocket. The Reliability Test Group conduct waterproof tests in accordance with the international standards set by the IP Code. The tests consist of rain simulation, water jets, and submersion, which each have a corresponding IP rating. 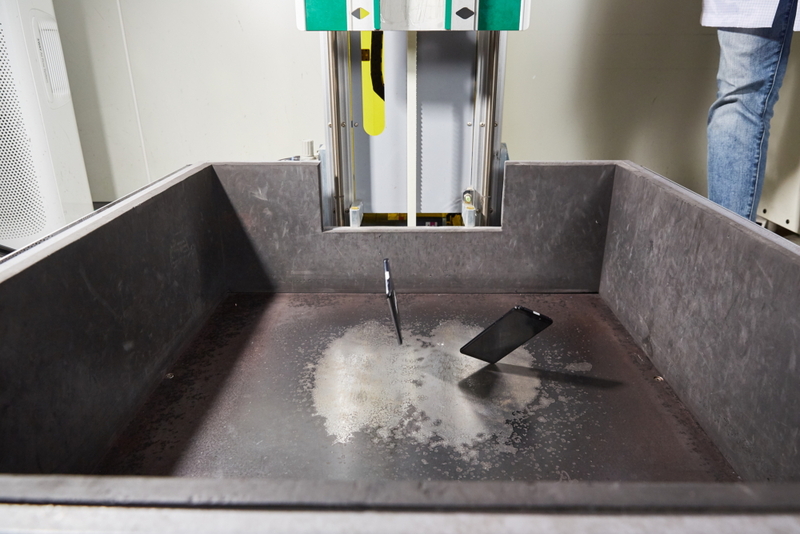 A smartphone that is rated IPX8, for example, can be used even if it has been submerged in 1.5 meters of water for 30 minutes, with the test lab verifying that the device works normally. Galaxy Watch, Gear Sports and Gear Fit2 Pro are designed to be suitable for wearing while swimming, and require other tests to ensure that they meet the atmospheric pressure standard of 5ATM. 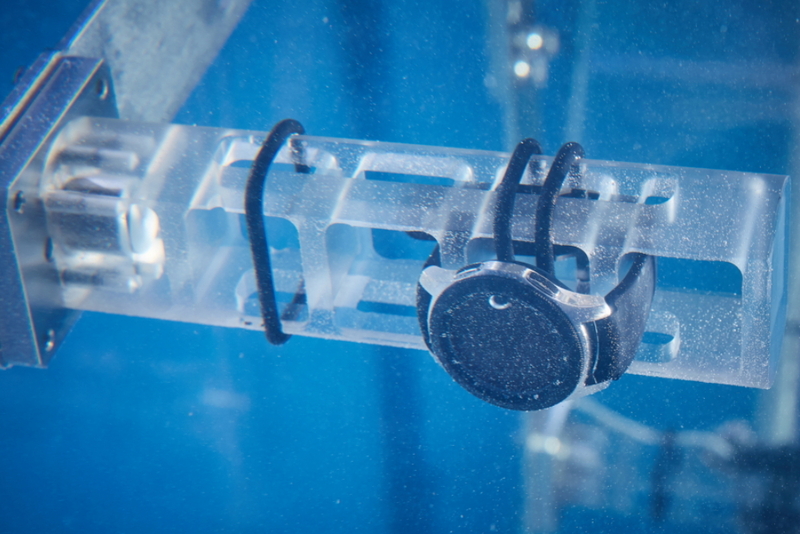 The lab has designed a test that assesses the devices’ performance while the wearer is swimming. 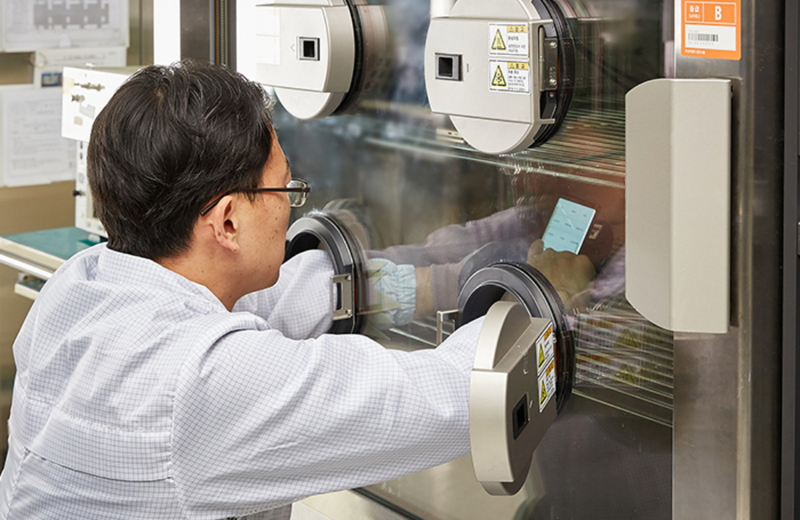 Since devices are used in different climate conditions across the world, durability and performance must remain unchanged from environment to environment. 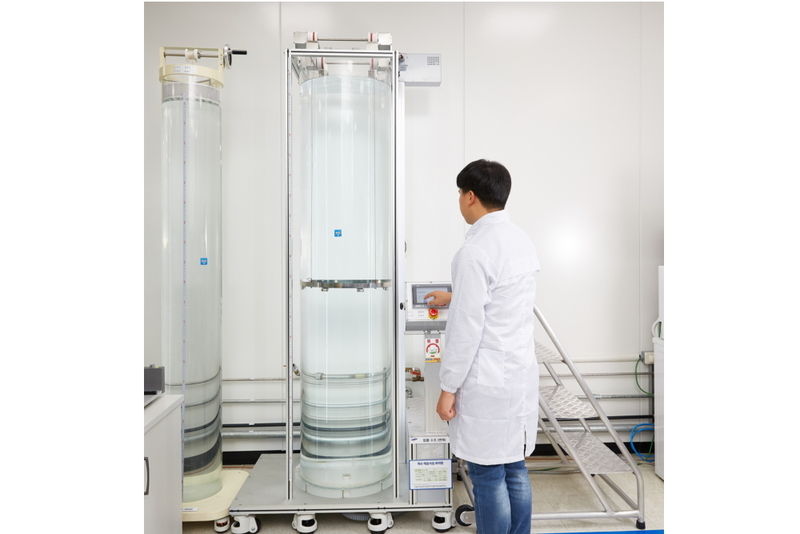 The test lab uses different chambers to test a variety of environments, with the chambers set at different humidity levels and temperatures, mimicking climates all over the Earth. The person conducting the test will assess whether the device’s functions still work under these conditions. The Galaxy series represents quality without compromise. The devices are the result of the tireless efforts of the Reliability Test Group, as they constantly ask questions and strive for better, ensuring that the devices meet durability standards.